Repairing Asphalt Can Boost Commercial and Residential Curb Appeal | ACI ASPHALT & CONCRETE INC. Deteriorated pavement can certainly influence customers, clientele, and guests regarding the building’s degree of professional and even safety. Repairing cracked or crumbling asphalt can render several great advantages for commercial and residential properties. Not only can curb appeal be enhanced, the safety, durability, and longevity of pavement can be improved as well. Continue reading to learn about all the advantages to repairing asphalt pavements, and how these improvements can increase property value and curb appeal. Fixing potholes, crumbling rock, cracked pavement, and depreciated curbs can bring about a whole heap of benefits, for both proprietor and guest. We will start with safety. As they say, “safety first!” When it comes to owning or managing a commercial property, hazardous pavement conditions can be a liability for customers and clientele. If someone were to injure themselves as a direct result of unkempt pavement, this could lead to a premise liability lawsuit; and no property owner wants that on their hands. Repairing broken and deteriorated asphalt pavement makes your property a safer environment and will prevent slip, trip, and fall accidents. Improving the security and safety of a premises can drastically increase property value and appeal. A safer and more durable foundation can prove to be a reliable investment for any potential buyers or investors. Another reason why Indianapolis asphalt repair is so valuable for a property involves traffic control. Flatter pavement is better pavement for cars, trucks, and other vehicles that might visit a lot or driveway. It reduces congestion, as well as, the likelihood of motor vehicle and pedestrian accidents; another valuable quality to potential buyers, customers, and investors. Asphalt repair is an economically beneficial service to outsource, whether you own a residential property, or a commercial one. 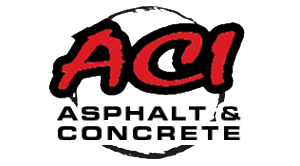 ACI Asphalt and Concrete Inc. Call 317-549-1833 to learn more about asphalt repair in Indianapolis, Indiana. ACI Asphalt and Concrete Inc. is owned and operated by Lindsey Lewis, master pavement specialists and longtime veteran in the industry. He and our teams of licensed, bonded, and insured paving contractors provide a wide range of asphalt paving repair and pavement rehabilitation services. We offer free estimates, emergency services, and more. Call 317-549-1833 for asphalt repair services in Indianapolis, IN. This entry was posted in Asphalt Repair and tagged asphalt pavement repair Indianapolis, asphalt pavers Indianapolis, asphalt paving repair, asphalt repair Indianapolis, Indianapolis asphalt paving, Pavement Repair Indianapolis, Paving Contractors Indianapolis, repair asphalt pavement. Bookmark the permalink.